Ifugao is a province of Philippines located in Luzon. 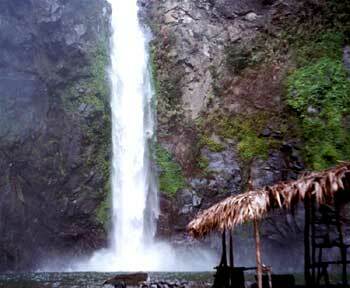 Its capital is Lagawe and the province itself is named after Ifugao River. The main tourist attraction in the province are The Banaue Rice Terraces. 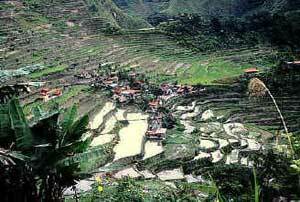 Ifugao is one of the provinces on Luzon where even on the steepest slopes terraces were build by the ancestors with only primitive tools and bare hands, more than 2000 years ago to provide level steps where the natives can plant rice. In the year 1995, this area were declared a UNESCO World Heritage List of cultural landscapes. Mountain terracing with the cultivation of rice varieties is practiced throughout the whole region of Pacific Asia. In the Philippines they have the most unique terraces! 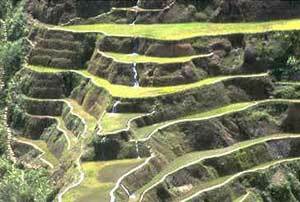 The Cordillera terraces in Northern Luzon are said to be the most unique in the world. Some people call this "The Eighth World Miracle". This package will also include sightseeing trips to Banaue, Sagada and Bontoc.